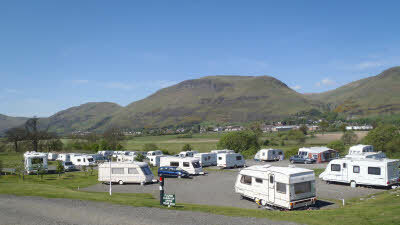 When you arrive at The Woods Caravan Park, the first thing you'll notice is the breathtaking 180 degree panoramic view of Ochil Hills. The best time to go is surely in the autumn, where the purple heather and golden bracken are a visual treat for the eyes. But there's more than meets the eye to this caravan park. Activities include a ranger service of guided walks as well as a nature reserve located at the nearby Gartmorn Dam Country Park. The park also provides a tranquil setting for a spot of fishing. There is an onsite Restaurant, Grill and Bar, called The Woodsman which is open 7 days a week from midday until 11 pm (advanced booking is advisable). 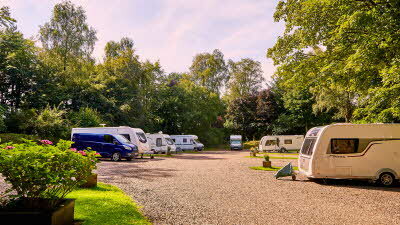 The Woods Caravan Park's main advantage is its location. Take time out to explore Fishcross, Alloa. It really is the perfect base, where the Lowlands end and the Highlands begin. Nearby is Dollar Glen and its National Trust woodland - a classic setting for a relaxing afternoon stroll on the easy to follow tracks. A wander up to the Castle Campbell is a must! If you fancy something livelier, Edinburgh, Glasgow and Perth are easily accessible. 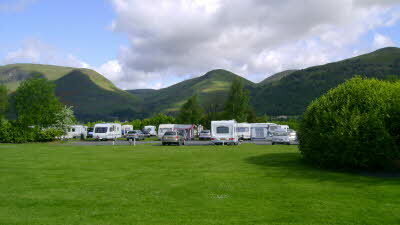 The Trossachs and Loch Lomond are also within easy reach from the caravan site. 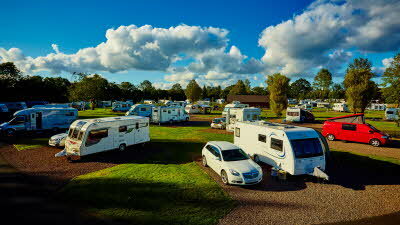 Holiday lodges and pitches with disabled facilities also available. Contact the warden for more details. New tenting area - electric / non electric. Cycle track nearby. The nearest National Cycle Network route to this site it route 76, St Andrew's to Stirling. The Old Devon Railway cycle track is adjacent to the site. Asda and Tesco are in Aloa, 3 miles from site. 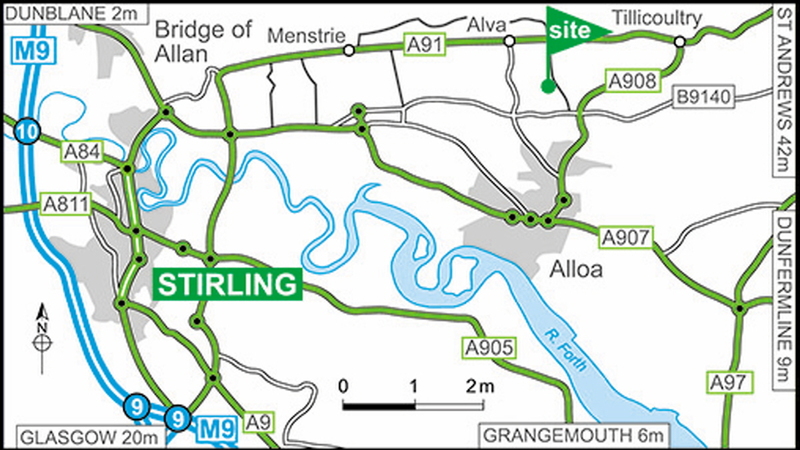 From West: leave M9 at junction 9 and follow signposts St Andrews, A91; pass through series of roundabouts and continue to follow signposts A91, St Andrews, Tay Bridge; cross river and at next roundabout turn right onto A907 (signposted Alloa); in 2m at roundabout continue onto B9140 (signposted Fishcross); in 3m turn left into lane signposted The Woods Caravan Park. Site on left in 400yds. From East on A91: turn left off A91 just before Alva into road signposted Fishcross. Site on right in 0.5 mile. 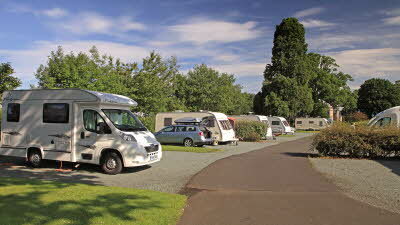 Been toThe Woods caravan site a few times by ourselves now and love the site and last weekend we held our first CAMC Fife & Tayside Centre Rally on the 15th-17th March 2019 We had a fantastic time & from the first contact to arrange the Rally with Frances in the Woods Office to arranging pitches for 17 Caravans arriving. We couldn't have asked for any better Rally Marshall & Caravan park staff relationship all ran smoothly with Frances & Jerry opening our rally with a great talk on the history of the park to our members from Jerry. We hope we can arrange another Rally at The Woods next year an have another great weekend in amazing surroundings. Definitely not a site to be missed. This was our first ever camp site in our new Motorhome & we weren't disappointed, We were late arriving on site due to an accident on the motorway but when we called to say, the warden said just to call when we finally arrived & he would let us in, we finally arrived 35 mins past the reception closing & sure enough we were met by a nice friendly man that gave us all the information we needed & let us in, Now that's great service, Once on the pitch we didn't really go anywhere as it had been a long day, we had a lovely quiet night probably the quietest i've ever had on any camp site, and the following morning was brilliant waking up the a great view of the surrounding mountains & countryside, The toilet blocks are immaculate & every staff member we met was only too happy to help, showing us where things were & as we are new to motorhoming helping with the waste water & chemicals, we have been avid campers for many years & this was a great upgrade, we will be back as we would like to try the restaurant at the entrance to the site as it look really nice from the outside, i would definitely recommend staying here but book in advance as i feel its gonna get busy in the summer. Another great stay at the Woods. My wife and I stayed 4 nights with our dog in January. The reception was friendly and welcoming at the new Reception Block. We were given the pick of pitches, we wanted a pitch on the lower field facing the hills and found a nice one that suited us. The main toilet block was the only one open which was immaculate as before and I was glad to see that the dishwashing area was open, which was not last year at the same time. 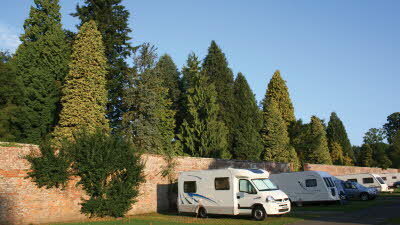 The site had expanded a bit with new pitches and new lodges. The only slight downside was The toilet block was closed for about 2 hours, with no alternative but to use the one in our Motorhome. Most sites we go to leave the disabled toilet till last, leaving it available for use. 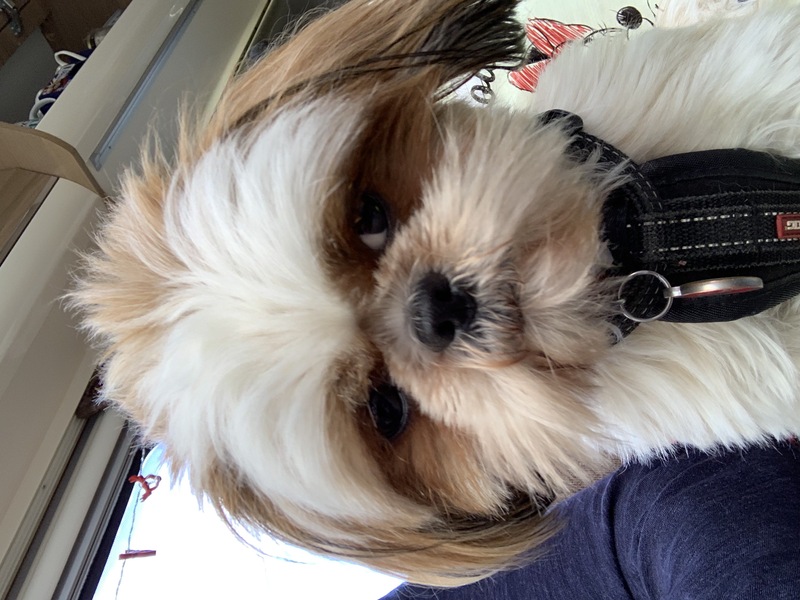 There area many nice dog walks available from the site. We walked the Devon Way, along the old railway to Dollar, where there were nice cafes and shops. This also passed the Sterling Mills Shopping Outlet at Tillicoultry. Also the wonderful Gartmorn Dam walk. We will look forward to returning to this site.